Over the weekend, the great Mac Wiseman passed away in a rehab facility in Antioch, Tennessee. Wiseman was 93 years old, and had been experiencing kidney failure these past few weeks. We feel a palpable sense of loss in the community this week from his passing and would like to pay tribute in the best way that we can. In honor of Mac Wiseman and the monumental life that he led, we would like to offer part one of a two part series featuring Michael Daves (and Tony Trischka) interviewing Wiseman in his home. The pair discuss Wiseman's early life, his career, memorable events, vocals, bluegrass and country music history. They also sing a number or two which is peppered in throughout the interview. Please visit our YouTube Channel to catch the interview in its entirety. Enjoy! Born May 23, 1925 in the Virginia Blue Ridge Mountains, Wiseman was one of the most beloved entertainers in Nashville recording groundbreaking music for more than 70 years. He conquered almost everything that one could do in the music industry from being a successful recording artist, to record executive, founding the Country Music Association to becoming an innovative icon in the country music and bluegrass realm. When it comes to country music and bluegrass vocals, there has never been a more recognizable singing voice than Mac Wiseman. Best known as The Voice with a Heart, Wiseman influenced some of bluegrass and country music's greats such as Kris Kristofferson, Merle Haggard, Michael Daves, and Alison Krauss. His vivacious voice was light and full of grace, which confuted his large frame but complimented his jolly smile. Taking the time to listen to some of country music’s most notable shows and greatest hits, there’s never an ounce of doubt as to who is singing when Mac was performing. His warm and authentic tone was a memorable hallmark within these genres, a quality that was undeniable to his audience and rang throughout the decades. Wiseman’s career began in the bluegrass sphere, first working with Molly O’Day, then joining Flatt & Scruggs shortly after they had left The Bluegrass Boys, and finally joining forces with Bill Monroe himself before launching into his solo career. Wiseman was widely admired in his home state of Virginia, garnering massive success on the Old Dominion Barn Dance in Richmond where he worked for many years. 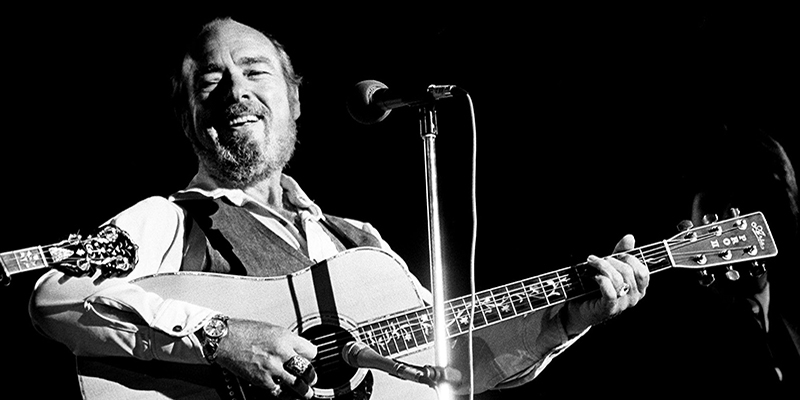 Mac Wiseman recorded dozens of top notch albums and had a staggering career. He participated in a number of collective projects throughout the 1960’s and 1970’s with Lester Flatt and The Osborne Brothers, and then recorded and toured with Chubby Wise throughout the 1980’s. If you were to ask any bluegrass purist, they would argue that those shows were some of the most memorable highlights in bluegrass history. One of the most whimsical traits that Wiseman possessed was his manner of planning and playing shows on tour. He was notorious for arriving in town with no opening acts or supporting musicians, but preferred the company of strangers. Wiseman would oftentimes assemble his band from scratch calling upon whomever was picking in town that day. This idea, although absurd, was only possible to execute because everyone knew Wiseman and his music which closely followed. Beyond his fame which came from recording and touring throughout his career, Wiseman also made a splash in the music industry in other monumental ways. He played an active role in founding both the Country Music Association and the International Bluegrass Music Association, in which he’s received Hall of Fame accolades from both organizations. Wiseman continued to be active in the Nashville music scene up until his final days of good health on this earth. Not only was he instrumental in bluegrass musics first generation, he managed to stay relevant and progressive well into his 90’s. Upon his passing, he was last surviving member of Lester Flatt and Earl Scrugg’s Foggy Mountain Boys; an end of a historical era in first generation bluegrass history. Mac Wiseman was truly loved by his fans, his fellow entertainers, and people in the music industry alike. The spirit of this bluegrass balladeer and banjo player will exist forever in country tunes and bluegrass picks as artists continue to push the limits found within these genres. Here’s to this revolutionary icon who shattered the confines of bluegrass and country music, here’s to the ol’ Blue Ridge Mountain boy. You will be missed.